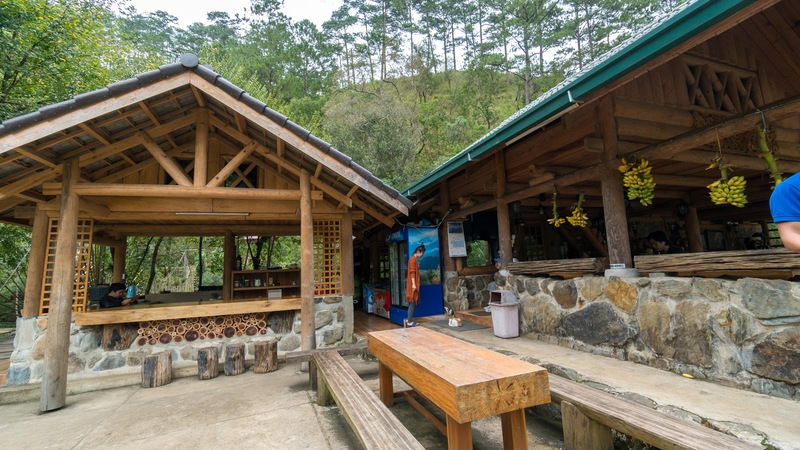 Ma Rừng Lữ Quán which is also known as the Ghost Forest which is located just no far away from Cu Lan Village. The name itself is suggesting this place is very quietly eerie. However, the road to get that itself is really difficult enough. The road is not made by tar. It is just a rocky, curvy and steep road. The road is barely enough for one car. So you have to endure it for the entire 3km. 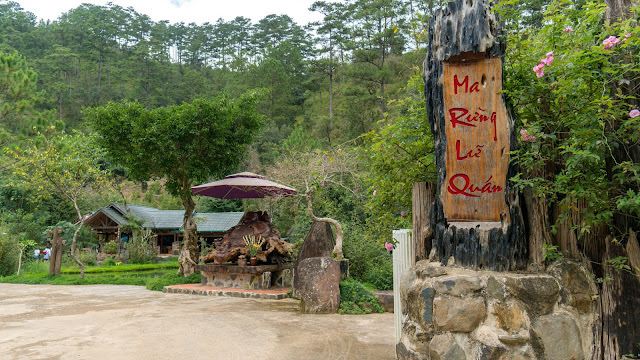 You will pass by beautiful Laan Resort and drive across the river twice to get to here. 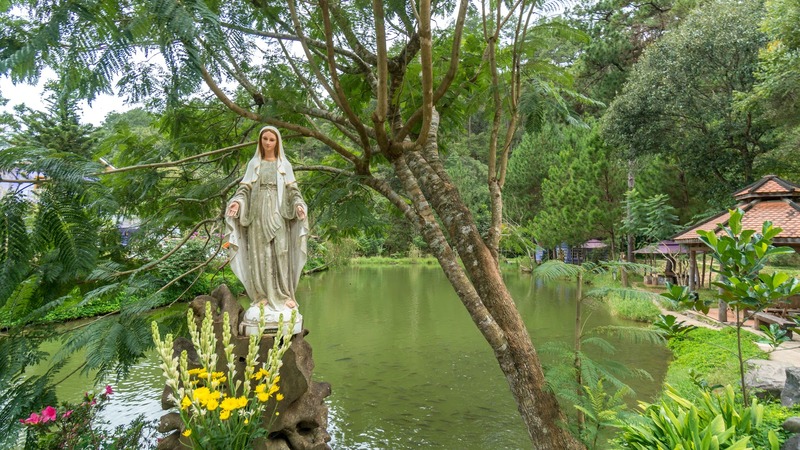 Ma forest is one of the rare tourist spots in Da Lat located deep in the mountains of Tay Nguyen. 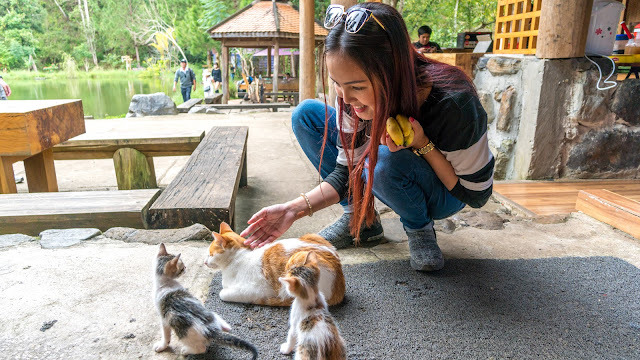 About 20km from Dalat city, amidst mountains and vast forests, ma forest jungle appears so full of ghosts that visitors stop to stand and watch. 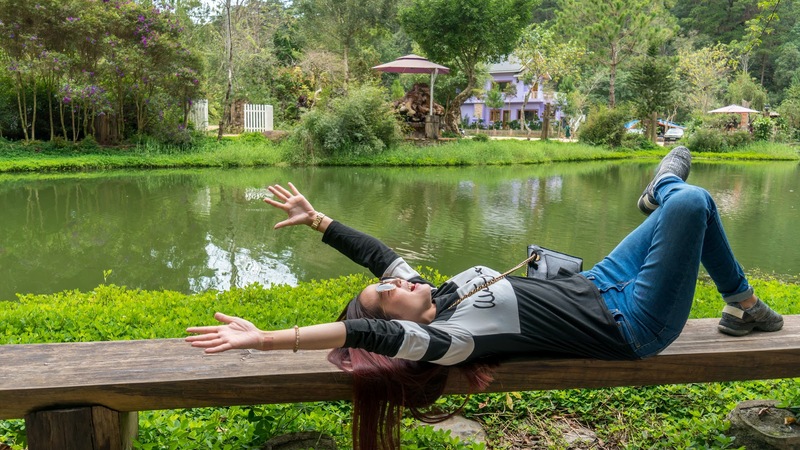 Introducing some features of the forest in Lam Dong in Dalat will give visitors more information on this attractive new attractions. The name of this place may be horrified but when you set foot here, you will certainly be surprised and admired praise beautiful natural beauty of this place. Unlike the Langbiang tourist area or the Love Valley of Dalat, Ghost Forest is a wonderful combination between mountainous forests of Da Lat and human hands built. Even though it has been touched by humans, the natural setting in Ma forest is still beautiful, fresh and extremely quiet. For young couples, what is more fun than getting on a bike, stopping in the middle of the road, looking up to see the forest foliage, take a breath of chest full of air cool, wet forest deep, swinging legs under cool water stream. 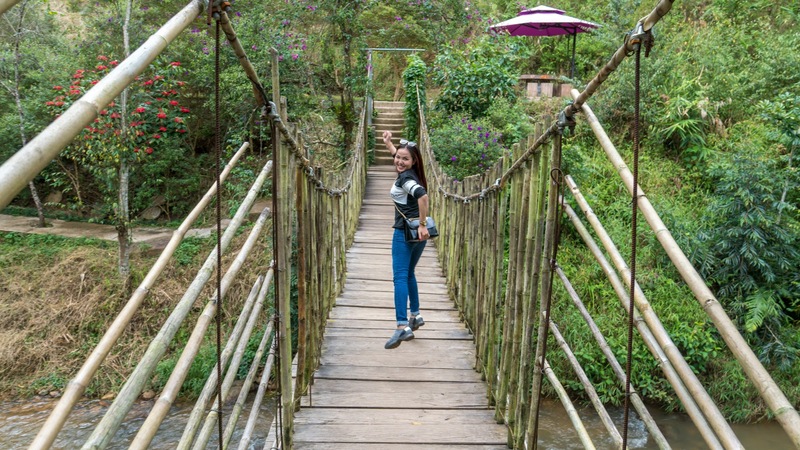 That's how you travel in Dalat. A quiet and poetic space is the next step after the dump of the road and the cool stream. Men along the stream will see the bridge hanging over the stream, the suspension bridge will lead the way to the small purple dream house stand out in the forest silent, so the beauty of the bar. I'm just elegant. A beautiful and romantic scene. Have you ever tried the feeling of barefoot in the middle of a cool stream in the second view of the little fish floating around swimming around his feet? If not, then try the Forest. 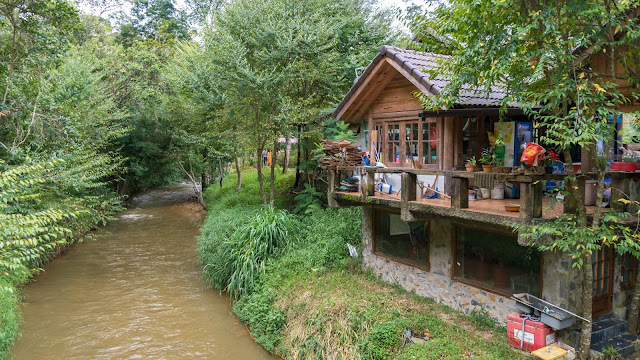 Behind the wooden house is a shallow stream with cool water. 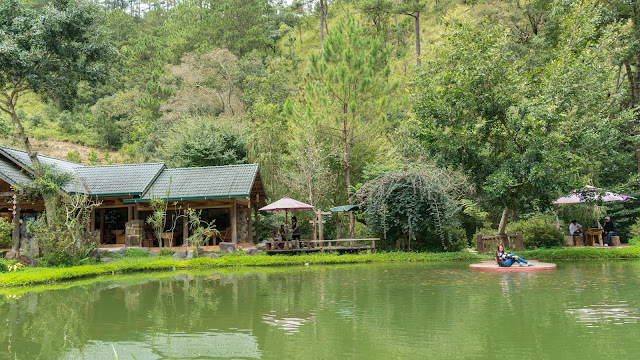 In the long run, you can sit down on the shore, drop your feet in cool water, hear the birds roaring on the trees and letting your soul mingle with nature, or simply talk to them. relatives and friends. 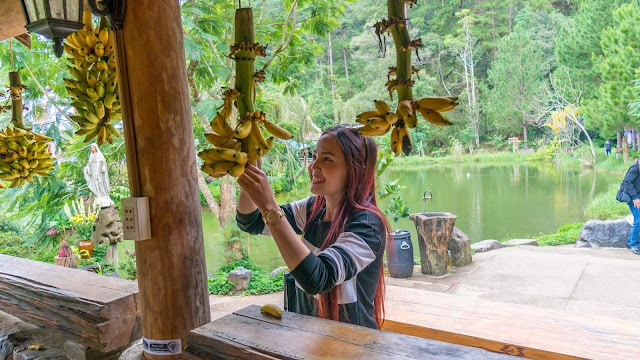 The entrance is free and the owner is also kind enough to offer banana for free to all his visitors. You can offer a little of your gratitude in their tip box. Da Lat guesthouse in 3 wooden houses for overnight stay over 100k / person. With a maximum capacity of about 70 guests, visitors wishing to stay overnight must notify in advance or sleep in the tent. These houses have in common with the mountain at the back, surrounded by a lake or small streams and covered by huge green trees. Overall, this is a best place where you set up your tent to camp for a night with a bunch of your friends. It would be an unforgettable night for sure. However, please do not choose to visit during heavy rain because there is a risk of landslide and the river rapid is too strong for your vehicle to cross. Recommended? : Yes if you are happened to visit Cu Lan Village. Opening Hours: It is a resort so it is open 24 hours however you are advised not to visit when the sky is getting dark as there is not street lights. The road is way too dangerous to travel without light. I am not kidding.